1. 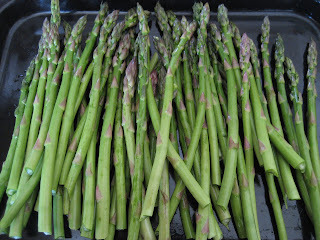 Wash asparagus and pat dry. 3. 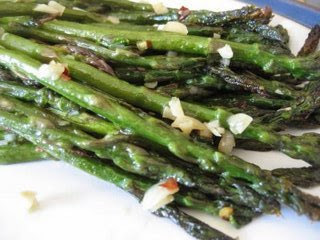 Place asparagus in pan in a single layer. 4. 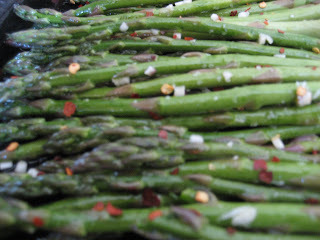 Drizzle oil, and add minced garlic salt and pepper. Toss to coat. Sprinkle with some chile flakes if you like. 5. Bake in a preheated oven at 375-400 deg F.( I usually do it at 450 deg in the toaster oven but, I think you need to adjust it on the regular oven) for 15 minutes or until nicely roasted. 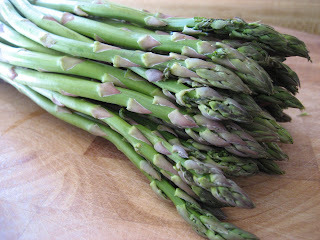 You can turn the asparagus towards the end to roast evenly. Serve warm.